The Garvin Theatre Box Office is located at the front entrance of the Garvin Theatre on SBCC’s West Campus. Parking is available in a 15 minute green space located in Lot 4D when purchasing tickets. The Box Office is open Monday through Friday from 10-5pm , on performance Saturdays from 1-5pm, and one hour prior to each performance. 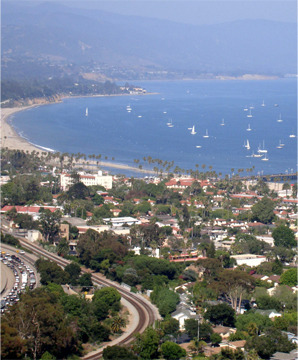 Tickets can be purchased in person, via the internet, or by phone at 805-965-5935. Tickets can be paid for with cash, check, MasterCard, Visa or American Express. At stoplight (Haley St.) turn left. Come back underneath the freeway. At stoplight (W. Montecito St.) turn right. Stay on this road, it becomes Cliff Drive. Go through two intersections with stoplights. get in the second left turn lane (very long). Turn left into West Campus of SBCC. four lots on the left side. Theatre straight ahead toward ocean. Entrance on left side of building. At next stoplight (W. Montecito St.) turn right. lots on the left side. 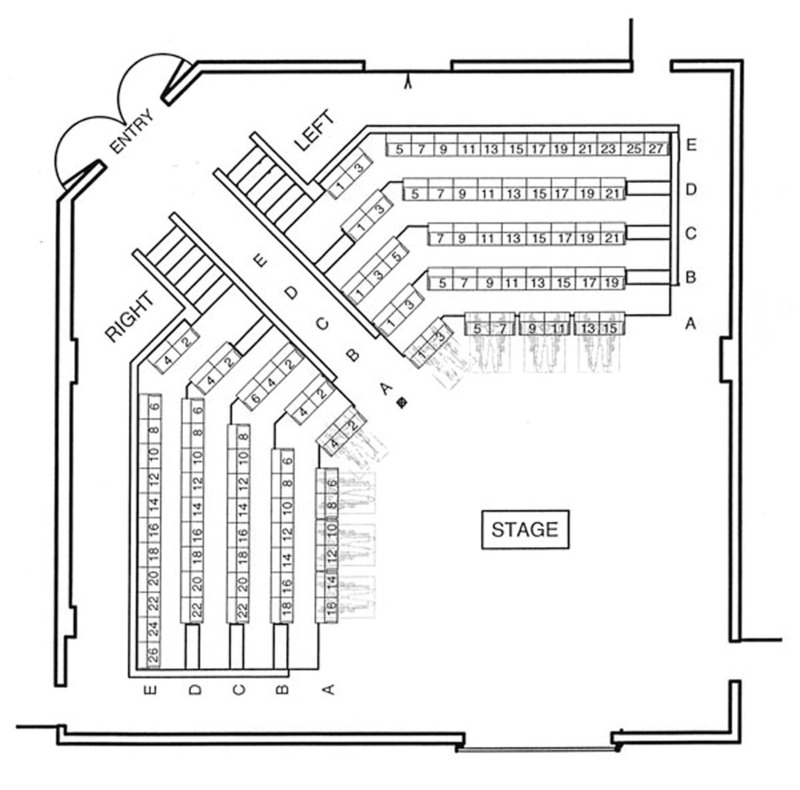 Parking for performances is in lots 4A through 4D on the West Campus of SBCC. Parking is free and tickets are not issued during Theatre Group performances. Blue handicapped spaces are located in the lot closest to the Theatres. On weeknights we share the parking with SBCC students attending classes so plan to arrive a little early to find a space. 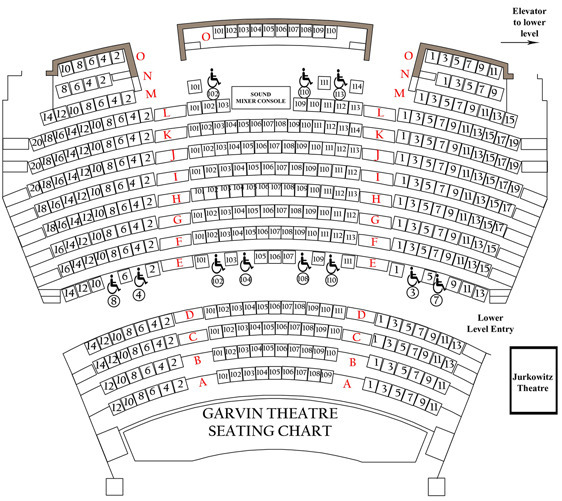 The Garvin and Jurkowitz Theatres are both accessible for patrons in wheelchairs. For both theatres please let the Box Office staff know if you need accommodations for either seating in a wheelchair or for mobility challenges, such as unable to manage steps. 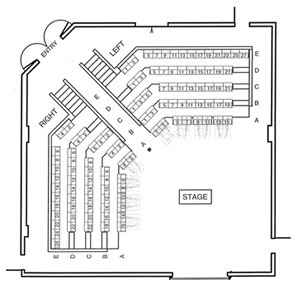 Both theatres have the assisted listening systems available for all performances. Check in with the House Manager to get a headset if you need this service. Live-captioning for the hearing-impaired is provided on select performances. For this service we run the script on a lighted sign while the play is in progress. Please check with the Box Office for dates.